Legends have a unique approach to life. 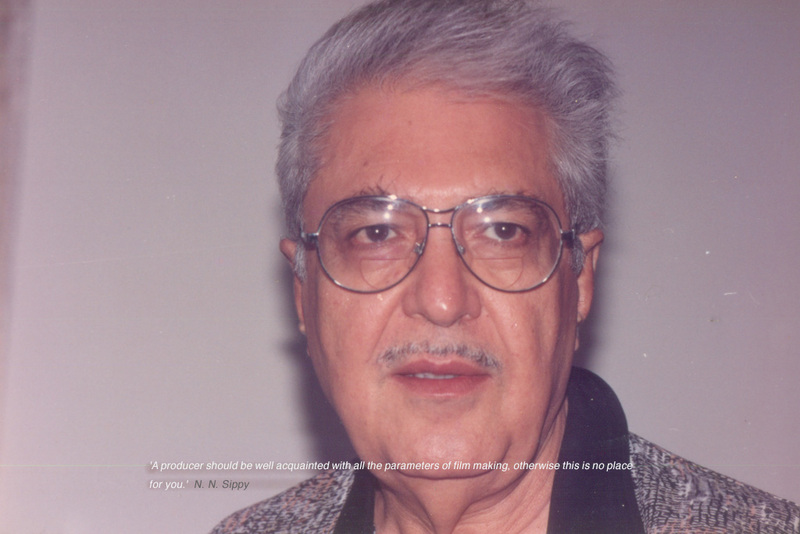 N. N. Sippy’s father was a well known distributor in the pre-partition Sindh province. Post independence, N.N. Sippy moved to Mumbai. After sharpening his acumen for more than a decade by working in all departments of filmmaking – production, finance and distribution, he finally took the plunge as producer in 1959. His debut film Qatil with reigning stars Premnath and Chitra was reflective of the freshness in the storyline and was a runaway success. Gumnaam launched editor duo Waman-Guru who ruled Bollywood till the early 90’s. Chor Machaye Shor launched composer Ravindra Jain and gave a new lease of life to director Ashok Roy and doyen actor Shashi Kapoor. Fakira became the commercial launch pad for Shabana Azmi. Kalicharan made Shatrughan Sinha and debutant director Subhash Ghai household names. Ghar won Rekha the Filmfare Award and the prestigious National Award also. Devata proved that Danny Dezongapa, a typecast villain, is accepted wholeheartedly in a positive role, a breakthrough in the Indian Film Industry. The list is endless. N. N. Sippy reveled in each venture and took it as a learning platform. He was a firm believer that a director should have a free creative reign once the producer is aligned with the content and story. He was awarded the prestigious ‘ Dada Saheb Phalke Award’ and a trophy by the IMPPA for his Lifetime contribution to the Indian Film Industry. N. N. Sippy honoured The Indian Motion Picture Distributors Association with his judicious presidency for over twenty years. Five decades later, when Bollywood’s most favoured and successful Producer finally hung his boots, he left behind an unpredecented 25 Blockbusters, a collage of cult films cutting across genres are eulogised even today.